Since 1978 our business has been repairing, maintaining and installing garage doors in Provo, Orem and surrounding cities. We specialize in high end and customized garage doors, as a result our technicians are trained to solve and repair garage doors from the most complex to the most simple and common repairs. 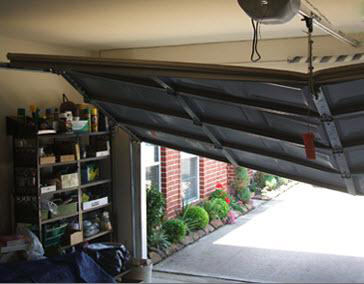 Garage doors will come off track for one of several reasons including getting bumped or from natural wear and tear. Our technicians can repair damaged tracks, AND balance and align your entire garage door system so that it is operating like new. 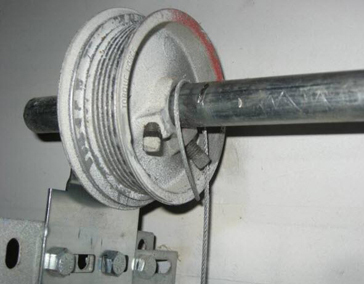 Due to normal wear and tear of the pressure and weight of the garage door, springs will eventually lose force or break. Our technicians can adjust the tension of older springs or replace them, as well as replacing broken springs. For the best repair, we can install 40,000 cycle long life springs for a small extra charge. The constant stress and movement of the garage door can cause cables to become loose or break. 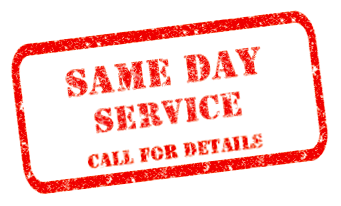 Our service technicians have cables and drums in stock and can repair or replace them and get your system back up and running. We stock the largest inventory of repair parts for garage door openers including Genie, Liftmaster, Marantec, Raynor and more. If we don’t have it, your opener is probably too old to repair. Call today to see if we have your part. 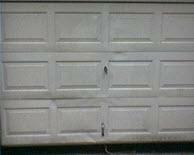 Inclement weather and accidents can cause damage to garage door panels. We can replace a single panel without having to replace the entire door. We distribute all the major manufacturer’s panels. Call today to see if we have your panel in stock or to schedule an appointment with one of our technicians.